Get your tails in gear, Jacksonville! 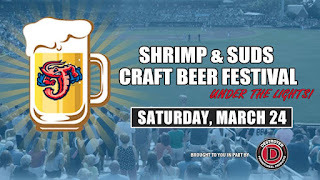 Shrimp Season returns to the Jacksonville Baseball Grounds with the Second Annual Shrimp & Suds Craft Beer Fest on Saturday night, March 24, hosted by the Jacksonville Jumbo Shrimp. The beer sampling event this year takes place at night under the lights. "We shifted the time so we could have the stadium lights on and give [the fest] more of a 'night at the ball park' ambience," said David Ratz, Promotions and Special Events Manager, in an interview with this site. Featuring around 40 local, Florida, regional and national breweries pouring multiple beers, attendees will enjoy unlimited beer samplings on the concourse level of the ballpark. A number of food items, including the Shrimp and Pulled Pork Nachos, as seen on Travel Channel's Food Paradise, will be available for purchase from the concessions vendors on the concourse. The event also includes live entertainment. 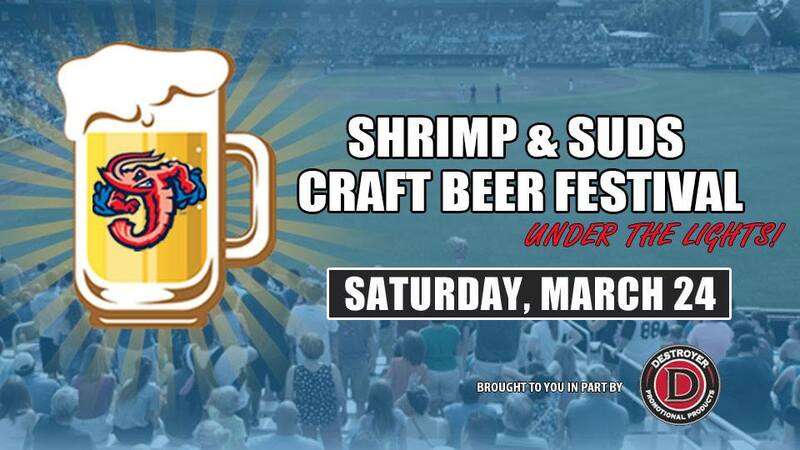 Tickets are available online through the Jumbo Shrimp website. The VIP ticket option ($50) includes one-hour early access, at 5pm, followed by General Admission ($40) at 6pm. The fest runs until 9pm. The event is presented in part by Destroyer Promotional Products, with fest proceeds benefiting Rabia Prince Hall Shriner Grenadiers Booster Club. 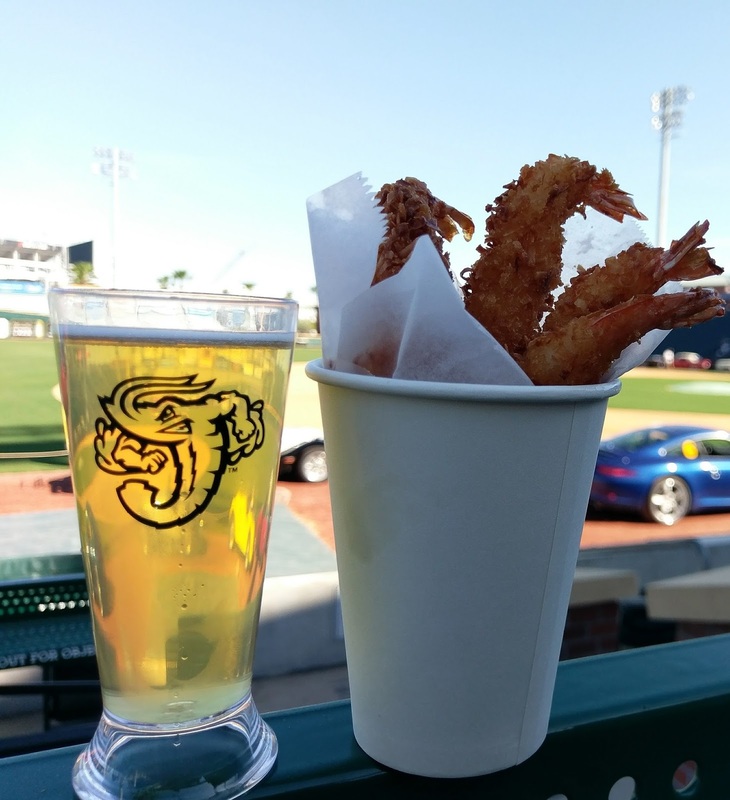 The Jumbo Shrimp season begins on April 5 with an away game against the Jackson Generals in Jackson, Tennessee. The team returns to the Baseball Grounds of Jax for its Home Opener against the Mobile BayBears on Wednesday, April 11 (7:05pm first pitch). On Monday, March 19, Sports Business Journal named the Jumbo Shrimp one of five finalists for "Sports Breakthrough of the Year" in its 11th Annual Sports Business Awards. Last year, attendance increased by a record 23 percent to over 325,000, with the opening homestand attendance of 41,276 being the highest attended series in the ballpark's history. For a look at last year's inaugural beer fest and home opener, click here! Hey, Jax, it's time to go Shrimpin'!